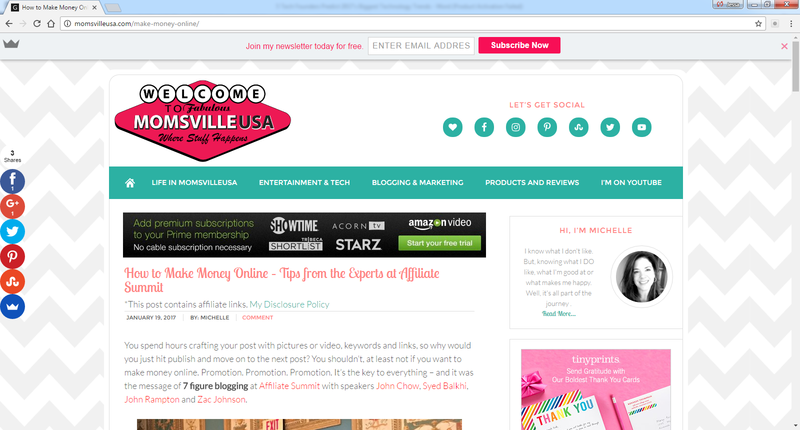 The Momsville blogger reached out to Affiliate Summit speakers to ask us what our best tips were for making money online. During this amazing summit, I shared how I spend 40 percent of my time crafting online content and 60 percent promoting it. Social media is huge for us at Due.com, and I stay on top of analytics to make sure I’m pushing it the best I can. Tuesdays and Fridays in the morning are my prime time. Figure out your audience, how they want to be pushed, and when. Zac Johnson says experts roundups are huge right now, and a very accessible way to network and get your name out there. John Chow put twists on content simply by changing the platform. Syed Balkhi reiterates how important quality content is—there’s no substitution for it. What we all agree on is that the key to making money is content, promotion and making sure you’re dishing up the best possible options for your audience.